Decades ago, traveling by plane was a luxurious experience. The flight attendants would hand you hot towels, there were spacious seats, and of course the fact that you could arrive at your destination so quickly. Unfortunately, this picture of air travel is a relic of the past, because the reality of today is much different. Today, you have to arrive hours early for your flight and endure dignity-infringing security procedures before being crammed into a tiny seat for many hours. Occasionally you might not even make it onto your flight, resulting in huge travel delays scrambling for alternate plans. For many Canadians, whether or not they travel to the United States depends on the strength of the loonie. Right now, the Canadian dollar is weak, making travel to the US more expensive than usual. But that doesn’t mean you can’t take a road trip across Canada. The weak Canadian dollar makes goods and services in Canada less expensive, and your dollar will go further here in your home country. This year marks the 150th anniversary of Canada’s confederation. This momentous anniversary makes the summer of 2017 an amazing time to take a road trip. Not only will you see all the standard sites, but if you plan your trip well, you’ll hit a variety of special events and once-in-a-lifetime celebrations. Essentially every single city in the country will be hosting festivities, so it will be easy to plan your trip accordingly and make several stops on the way to your final destination. That’s the kind of flexibility that is unavailable if you choose to fly to your destination instead. 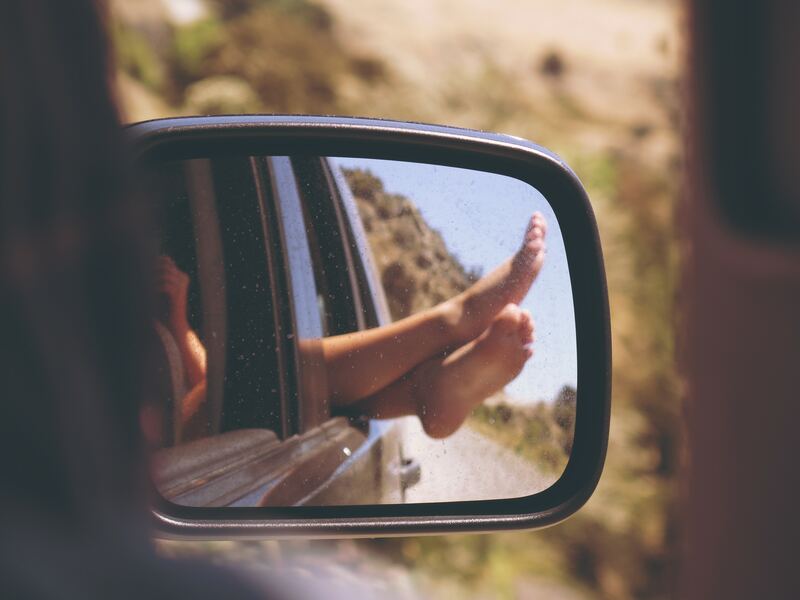 Above all else, traveling by car for your vacation is less expensive than by air. Sure, you have to spend money on gasoline, but there are many ways to reduce that cost, and when you do need to purchase gasoline you can use one of the best cash-back credit cards to earn rewards on your expenditures. 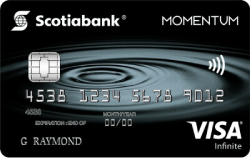 The Scotia Momentum Visa Infinite credit card is uniquely suited for road trip spending because every dollar you spend on gasoline earns you 4% cash back. You’ll also earn 4% cash back on any grocery spending during the trip, which could come in handy for roadside snacks. When you reach your destination you can take advantage of the Visa Infinite Luxury Hotel Collection, so you can lounge in style once you’ve reached your destination. This credit card also offers complimentary access to the VISA Infinite Dining Series, offering unique dining experiences in some of Canada’s most exclusive restaurants. Can You Afford a Million Dollar Home?